Nike have launched a completely new colourway for the popular lightweight boot, the Nike Mercurial Vapor IX. It is unveiled in a bold colourway, which pays tribute to the iconic R9 and his Nike Mercurial Vapor III from the World Cup in 2006. Nike latest colourway, for the current lightweight boot, draws inspiration from one of the most iconic boots in recent history. 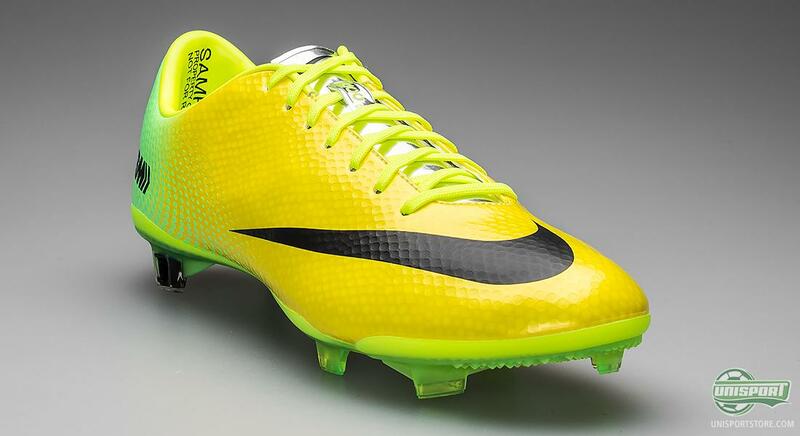 The resemblance is striking, with the yellow main upper colour and green heel. It is made as a tribute to one of the biggest stars ever to have played, which is Luis Ronaldo, R9, or the “real” Ronaldo. We find many names for those we love. The original version of this football boot was the Nike Mercurial Vapor III. 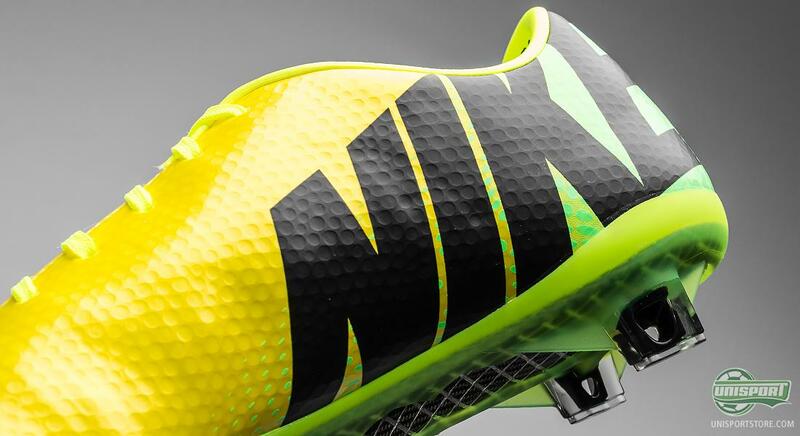 This colour combination was, as you probably easily guessed, made to honour the Brazilian colours; yellow and green. But apart from being a tribute to Ronaldo’s motherland, the boot was also a lot more visible, which was definitely a conscious decision. Already back then Nike knew that a pair of boots, which were made with very exuberant colours, made it easier for teammates to spot and setup Ronaldo. This thought process has been developed drastically in the last few years and resulted in several colourways. Some probably more successful than others. 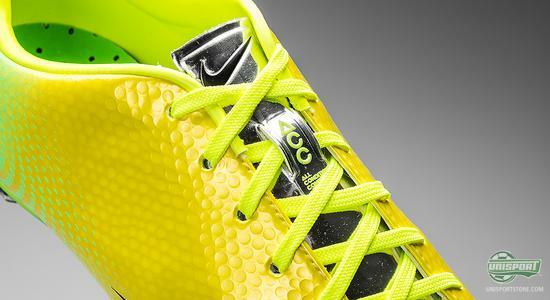 It was in a pair of yellow and green Nike Mercurial Vapor III that Ronaldo broke the all-time World Cup scoring record. On the 27th of June, the fans at the FIFA WM Stadion in Dortmund witnessed a piece of football history, when Ronaldo scored against Ghana. It was Ronaldo’s 15.(!) goal at a World Cup Tournament, meaning he beat Gerd Müller as the most scoring player in World Cup history. It was however Ronaldo’ last World Cup goal, as Brazil crashed out again, with France once more besting them. 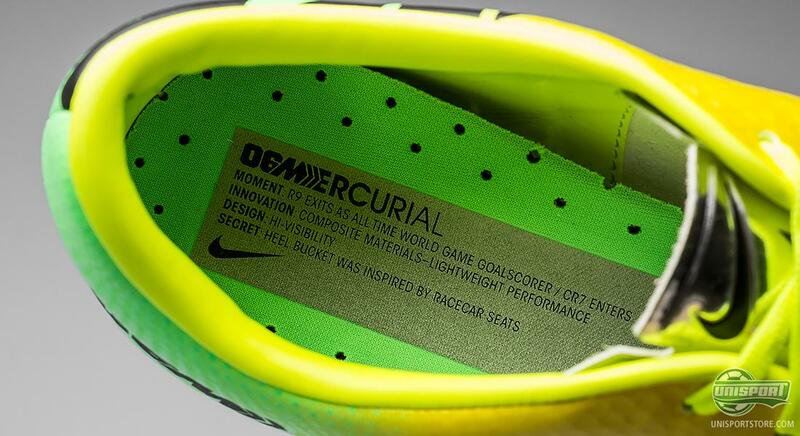 A funny detail, which Nike added on the Nike Mercurial Vapor IX 06M boot, was on the inlay sole. 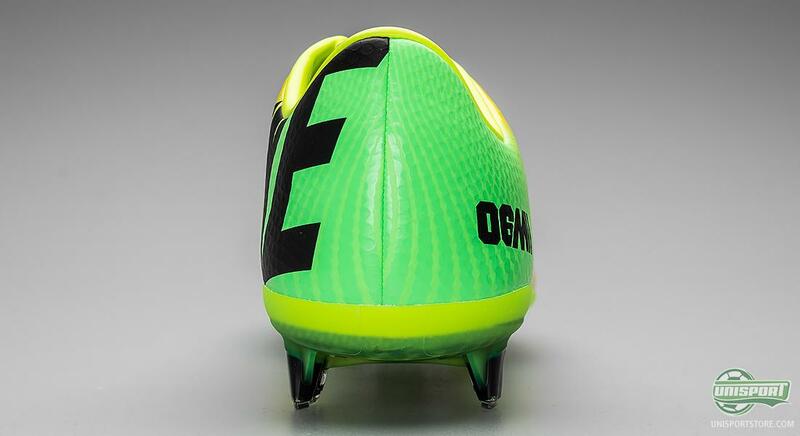 Here a bit of information on the original version of the football boot is listed. One of the bits of information listed reveals a little secret in connection with the development of the Mercurial Vapor III. The heel-cap was inspired by racecar seats. Did you know that? It certainly surprised us. 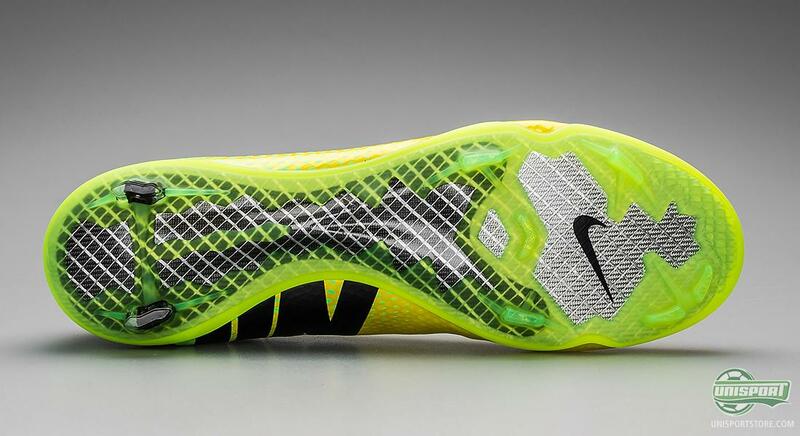 Even though the new Nike Mercurial Vapor IX pays homage to the legacy from 2006, it is still as modern as always. 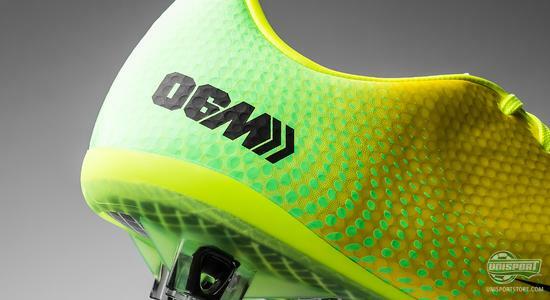 The ninth generation of the now legendary Mercurial-collection has already made a massive imprint on the speed-boot market. 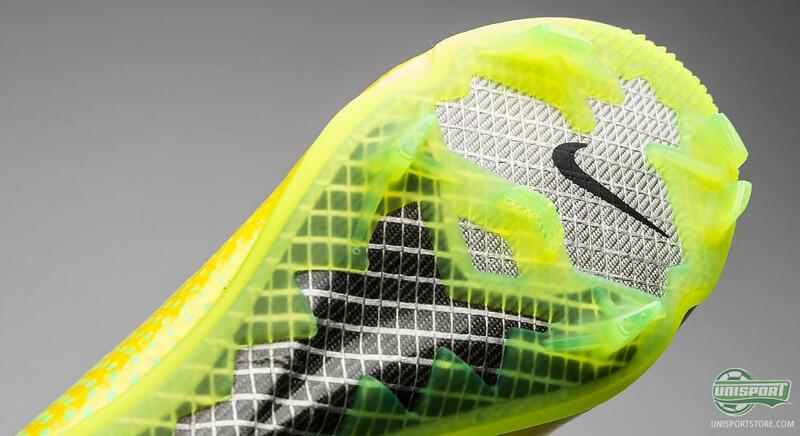 With its just 185 grams it weighs significantly less than most, but Nike have still been able to fill it with innovation and technology, like the Speed Control and ACC. 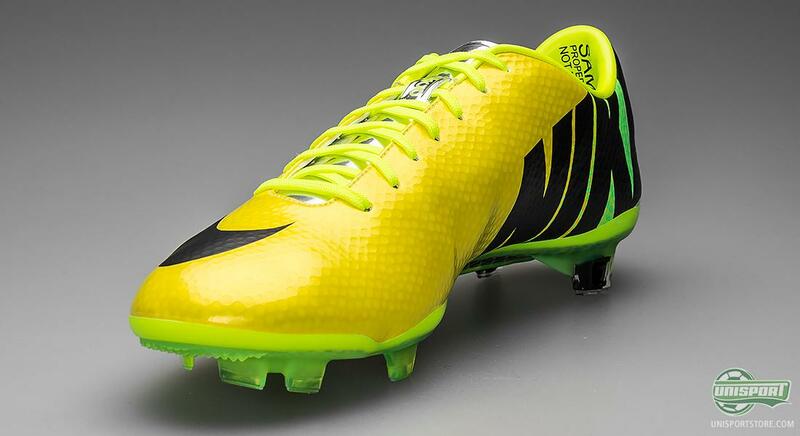 The Nike Mercurial Vapor IX has carried on many of the cool features from the popular predecessor, but with a few significant modifications and adjustments. You never change a winning team and this counts for boots too, but all the small changes on the boot accumulate and therefore make the Nike Mercurial Vapor IX one of the most advanced speed boots ever. The upper has changed a lot and this is apparent because of the many small dimples in the upper. 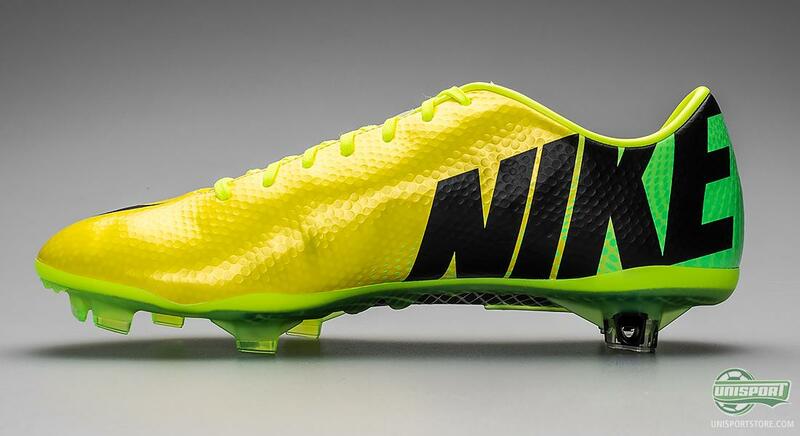 It is a technology, which Nike call Speed Control and as the name insinuates, it is made to give improved control, when going at high speed. The eternal battle with the weather gods can also have a negative impact on your ball control, which is especially apparent in wet conditions. This is however something Nike have found a solution for too, thanks to the now very well known and loved ACC. All Conditions Control is a technology, which is worked into the upper during production and ensures you have the same grip on the ball in wet weather, as you would otherwise have in dry conditions. 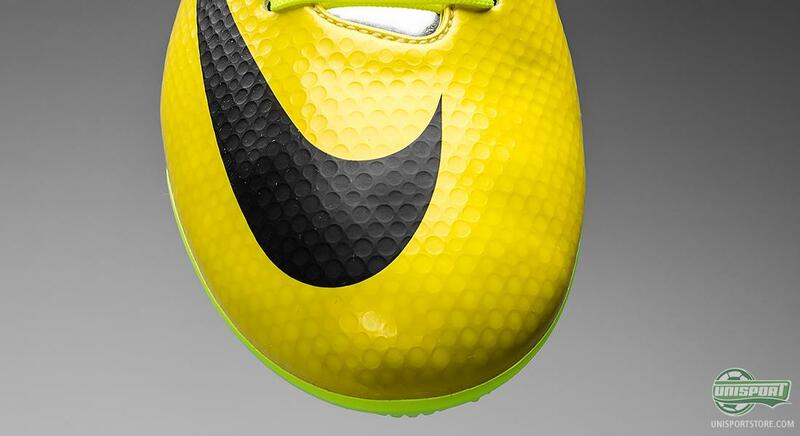 Also in connection with the stud-configuration Nike have done something out of the ordinary. 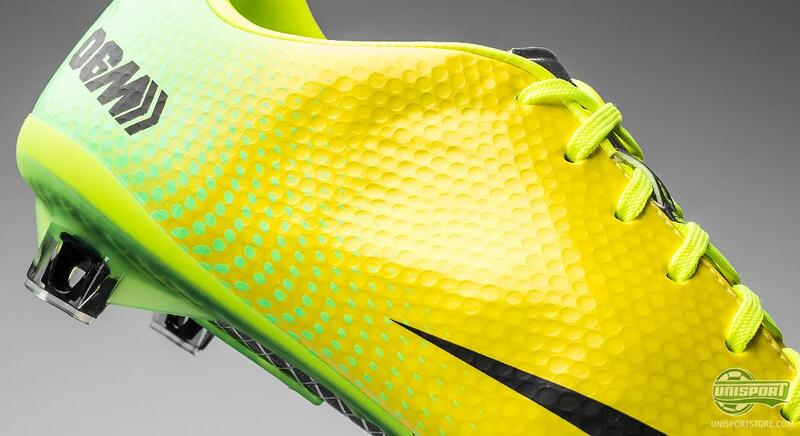 With just two studs on the heel, the thoughts behind it are that they enter and exit the ground quickly. This gives the explosive speed, which the boot is known for. Some think the two studs are too unstable, but with the Mercurial only one thing counts: speed, speed and more speed, something the Vapor certainly delivers. An explosive new colourway for the Nike Mercurial Vapor IX. 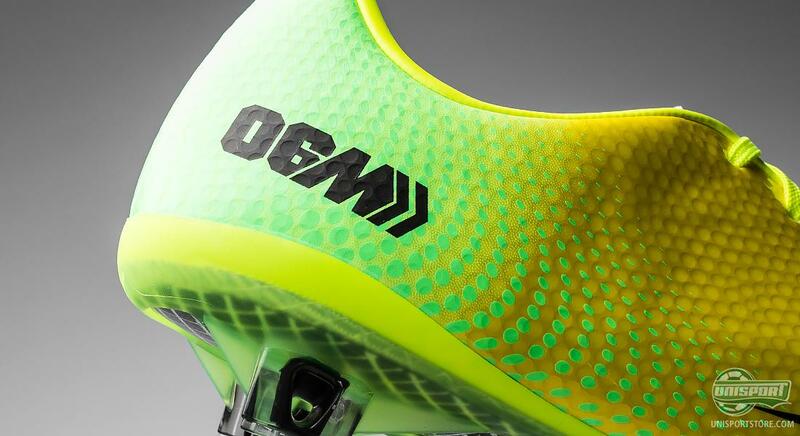 What do you think about the new boot? Tell us what you think in the comment-section, or on Twitter and Facebook.